THOUGHTSKOTO Thoughtskoto : Local Job Postings For Office Jobs In The Philippines? Find Yours Today! 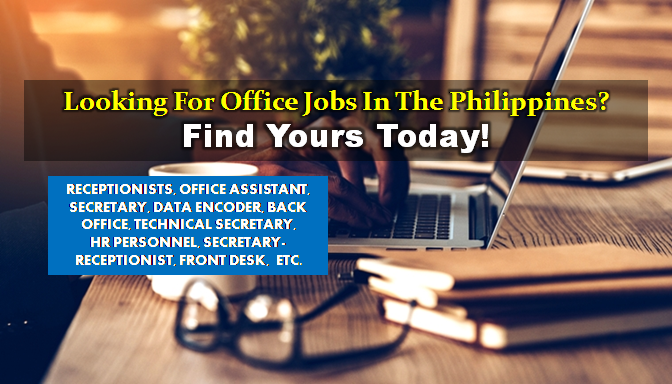 Local Job Postings For Office Jobs In The Philippines? Find Yours Today! Are you looking for a local jobs in the Philippines? The following are job vacancies for you. If you are interested, you may contact the employer/agency listed below to inquire further or to apply. Bestguard Sales & Marketing Corp.
WORK LOCATION Address: 7th Floor Arcadia Building, 860 Quezon Avenue, Brgy. Paligsahan, Quezon City. GREAT OCEAN LAKE DEVELOPMENT AND MANAGEMENT CORP.